If you’re looking for a fantastic way to enjoy a fall getaway this year, check out the amazing deal being offered by the Disney Springs Resort Area hotels now through October 9, 2017! There is still time to make plans to experience the special events being conducted at the Walt Disney World® Resort in Central Florida this summer and fall, such as the Epcot® International Food & Wine Festival at Epcot®, Eat to the Beat Concert Series at Epcot®, Mickey’s Not-So-Scary Halloween Party at Magic Kingdom® Park, and Disney Night of Joy at ESPN Wide World of Sports Complex. 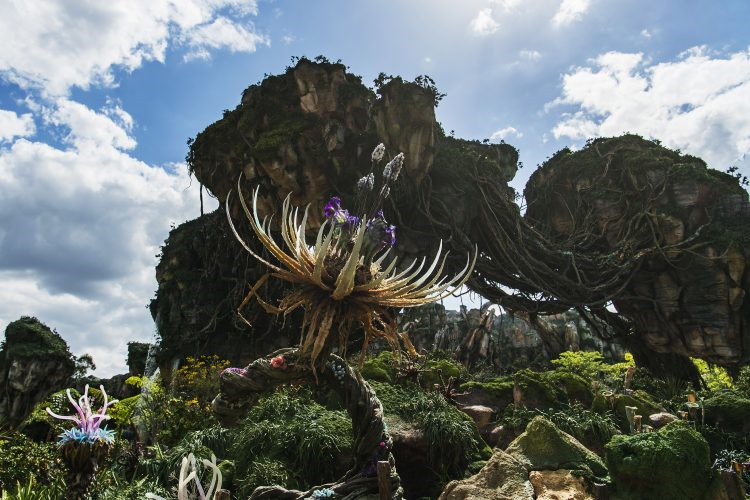 It also is a great time to see the incredible all-new Pandora – The World of Avatar®, which just opened in May at Disney’s Animal Kingdom® Theme Park, and to experience the significantly expanded Disney Springs®. 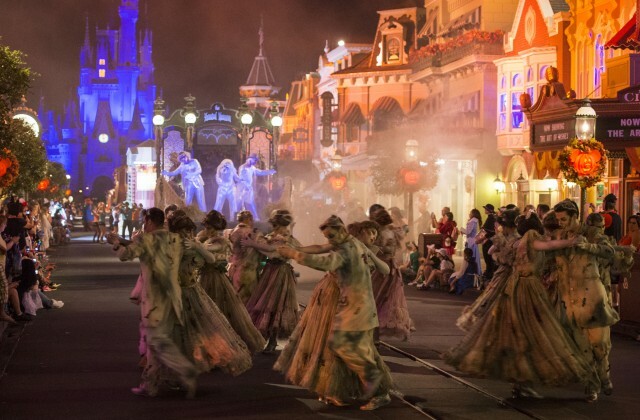 A great way to experience these events and new offerings is by taking advantage of the special “Fall into the Magic” room rates that are being offered by the seven Disney Springs® Resort Area Hotels for stays from now through October 9, 2017. In addition to the outstanding special events, the special hotel rates provide the opportunity to take in such exciting new offerings at the Walt Disney World® Resort as Star Wars: A Galactic Spectacular Fireworks at Disney’s Hollywood Studios®; Frozen Ever After and Soarin’ Around The World at Epcot®; Kilimanjaro Safaris® and the nighttime spectacular Rivers of Light for a full day to night experience at Disney’s Animal Kingdom® Theme Park; and also new this summer Happily Ever After, the largest projection and fireworks show in Magic Kingdom® Park history. The immersive, awe-inspiring Pandora – The World of Avatar® at Disney’s Animal Kingdom® features truly stunning floating mountains, cascading waterfalls, and a lush rainforest complete with glowing fauna and flora. Impressively, this sprawling new land makes you feel as if you are transferred light-years away to Pandora. Among the offerings are Avatar Flight of Passage, an exhilarating 3D ride that takes you on an expedition on the back of a powerful winged mountain banshee to see the beauty and grandeur of Pandora. Also not to be missed is the family-friendly Na’vi River Journey, a scenic boat ride down a mysterious river, through caves, and lighted by a bioluminescent forest. 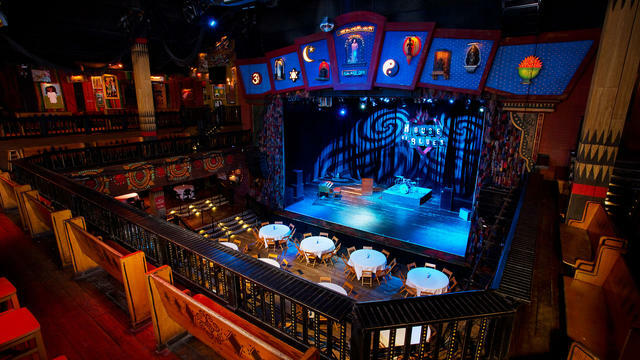 Plus, you can experience the many unique venues at the dramatically transformed Disney Springs® area, formerly known as the Downtown Disney® Area. Inspired by Florida’s charming towns and natural beauty, and boasting a picturesque waterfront setting, the vibrant Disney Springs® offers a high-quality diverse mix of shops, an impressive variety of new upscale and casual dining options, and outstanding live entertainment options, currently with 130 establishments. Set amid beautiful open-air promenades and bubbling springs, Disney Springs® features four distinct outdoor neighborhoods: The Landing, Town Center, Marketplace, and West Side. 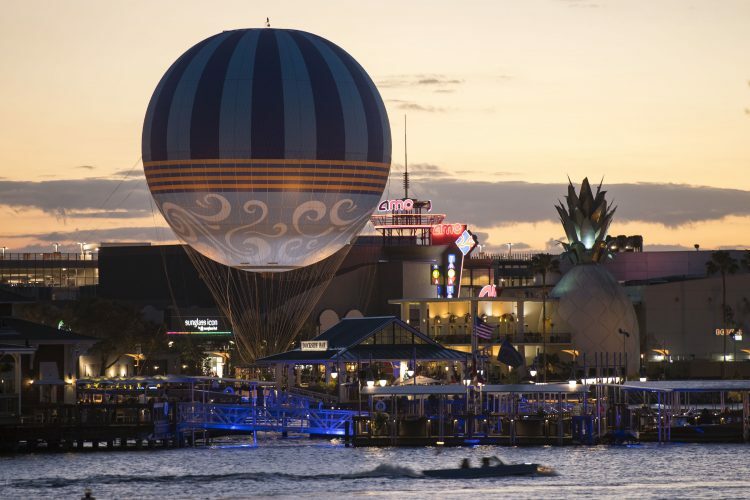 Among the many new offerings that are open at Disney Springs® are such dining options as Planet Hollywood Observatory, Celebrity Chef Rick Bayless’ Frontera Cocina, Paddlefish (situated on an iconic paddleboat), renowned Chef Art Smith’s Homecomin’, Morimoto Asia, and STK Orlando. Among the many other offerings open at Disney Springs® are: World of Disney® store, AMC Movies at Disney Springs 24, The Art of Disney, The LEGO® Store, Build-A-Dino® by Build-A-Bear Workshop®, Disney Design-A-Tee, Disney’s Candy Cauldron, Disney’s Wonderful World of Memories, and Once Upon a Toy. Featuring an ideal location in the Walt Disney World® Resort, the seven Disney Springs® Resort Area Hotels are within an easy walk to Disney Springs® and also provide shuttle transportation every 30 minutes to all four Walt Disney World® Theme Parks, two water parks, and at night to the Disney Springs® area. Plus, as a bonus, guests at these hotels also receive the “2017 Disney Springs® Passport” booklet that features exclusive discounts and specials from Disney Springs® merchants on entertainment, shopping and dining. Among the coupons featured in the booklet are discounts and special offers at House of Blues® Restaurant, Rainforest Café® at Disney Springs® Marketplace, T-REXTM, Ghirardelli® Ice Cream & Chocolate Shop, American Threads, and Sephora. Wyndham Garden Lake Buena Vista — Disney Springs® Resort Area – rates from $72 per room, per night. For additional information, visit DisneySpringsHotels.com. The special rates are available for stays now through October 9, 2017, based on availability. Some blackout dates may apply, and availability may be limited. The rates do not include the Resort Services Fee or daily parking fee (if applicable), taxes or gratuities. The offer is not valid with any other special offers, promotions, existing reservations, or for groups. 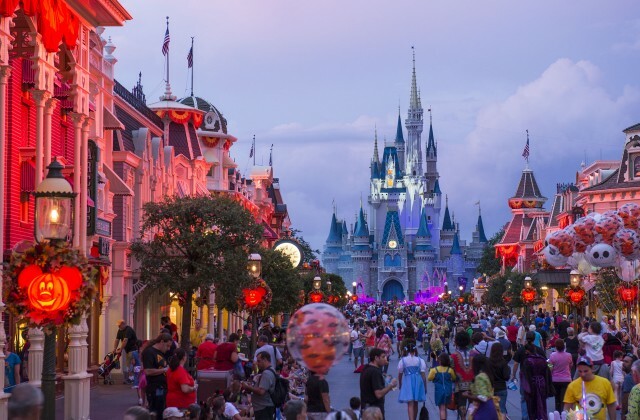 Disney Night of Joy, on September 8 and 9, 2017 at ESPN Wide World of Sports Complex. Note that some events require a separately priced ticket. Holiday Inn Orlando – Disney Springs® Area — offers the ideal setting to stay and play, featuring modern Florida décor, a beach entry swimming pool, and complimentary Wi-Fi in all guest rooms and public areas. Wyndham Garden Lake Buena Vista — Disney Springs® Resort Area — featuring Disney Character Breakfast 3 days a week, 394 guest rooms, six dining options, and the Oasis Aquatic Pool Playground with interactive water features. With nearly 30 food and beverage outlets and restaurants, over 3,700 rooms and an array of amenities, the Disney Springs® Resort Area Hotels offer a rate, space and menu to please every guest. Located in the heart of the Disney Springs® area, these properties are within walking distance of exceptional shopping, dining and entertainment venues. Visit DisneySpringsHotels.com.